Whether you’re a brand new parent or a seasoned pro, keeping up with your baby’s changing sleep patterns can be exhausting. Just when you think you have it all figured out, things change! Here’s an overview of what to expect, and tips to help you navigate this exciting and challenging first year. Newborns typically sleep between ten and eighteen hours a day. There’s a big variation, and that’s normal. Because your baby’s circadian rhythm (or internal clock) isn’t established, sleep is spread out equally between daytime and nighttime hours. Most newborns can only stay awake for an hour or two at a time, which means that they may only be awake long enough to eat and poop before going right back to sleep again for a two or three hour stretch. To determine if your baby is getting enough sleep, observe their behavior. If they’re calm and alert while they’re awake, the chances are they’re getting enough sleep. Newborn sleep cycles are made up of active sleep and quiet sleep. Active sleep is characterized by fluttering eye movements, irregular breathing, grunts, cries, twitches and movement of the arms and legs. Quiet sleep is distinguished by slower, rhythmic breathing and little or no movement. Newborns typically spend half of their sleep cycle in active sleep and the other half in quiet sleep. At the end of a quiet sleep phase, your baby will either transition back to active sleep or wake up. Learn your baby’s sleep cues – Eye rubbing, yawning, ear tugging, fussiness and crying are all signs that your baby may be in need of sleep. Learn to recognize your baby’s signals and get them down before they become overtired. Keeping track of how long they usually stay awake will help you to anticipate their needs. Help your baby distinguish day from night – Although it may take a month or two for your baby to fully adjust to our day/night cycles, you can use environmental and social cues to help regulate their internal clock. Expose them to natural light during daytime hours and engage with them while they’re awake. In the evening, dim the lights and keep things calm and quiet. When your baby wakes at night for feedings or diaper changes, keep the lights dim and make your interactions as boring as possible. You want to send the message that it’s time to sleep, not play. create an environment that promotes sleep. Introduce a consistent bedtime routine – Babies thrive on consistency. Having a predictable set of calming steps that happen in the same order every night can cue your baby’s body and mind for sleep. A newborn routine doesn’t need to be elaborate. It can be as simple as changing a diaper, putting on a sleep sack, turning on the white noise machine and singing a lullaby. 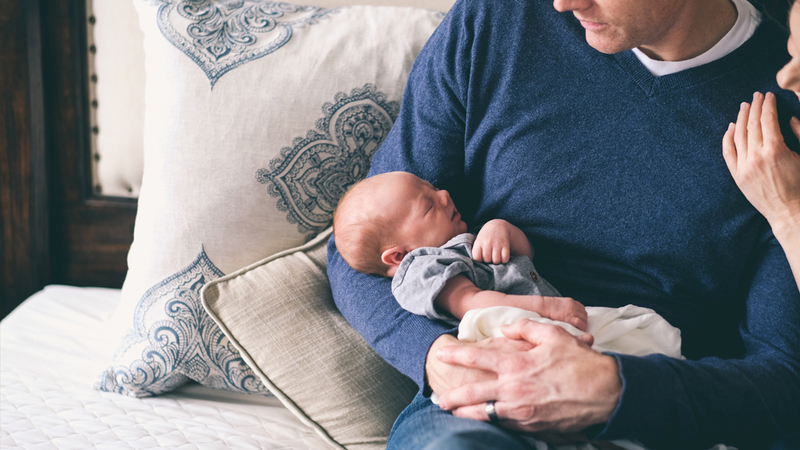 Go with the flow – Newborns aren’t designed to conform to strict schedules, but at six weeks you can start use your baby’s innate biological rhythms to find a flow for the day. Keep a log of eating and sleeping times to help you understand your baby’s unique patterns. Don’t be afraid to wake your baby up from a nap for feeding during the day. If they sleep through a daytime feeding they may be up more frequently at night trying to catch up on those missed daytime calories. Try putting your baby down drowsy but awake once a day – Holding your baby as they drift off to sleep is one of the joys of parenthood, but if you’d like them to be able to fall asleep without being held, you can start taking small steps in that direction. Once a day, hold your baby until they’re drowsy and then place them in their crib or bassinet before they’re completely asleep. If they cry, spend a few minutes shushing and patting to see if they’ll fall asleep. If they don’t settle, don’t worry – just put them to sleep the way you usually do and try again tomorrow. Don’t be discouraged if your baby doesn’t catch on immediately. Just keep trying for a few minutes every day. If you’d rather wait until your baby is a bit older, that’s fine, too! Nothing you do in the early months to keep your baby well rested will get in the way of learning sleep skills when the time is right. Once breastfeeding is established, offer your baby one bottle a day – If you breastfeed, give your baby practice drinking from a bottle so that you have a “back up” when you can’t be there for a feeding, or if someone else in the family wants to do a feeding at night. In the third month sleep is more organized. Your baby’s internal clock is in sync with our day/night cycle, and they will sleep less during the day and more at night. A more predictable nap pattern will emerge, starting with the morning nap, which will start to happen at about the same time every day. Most three month olds still can’t stay awake for more than a few hours at a time. Because they are more alert and social, naps on the go may no longer work well for your baby. Your baby’s nervous system is still developing and reacting to the many new experiences and sensations outside the womb. Most three month olds still startle easily from loud noises and sudden changes in light, touch or support (like when you put them down in the crib too quickly.) If swaddling helps your baby, it’s perfectly fine to continue doing so until your baby begins to roll. Almost all three month old babies still need to eat at night, but your baby may be able to sleep five or six hours at bedtime before waking up for a feed. There’s still a wide variation in the amount of sleep that babies in this age group need, but fourteen or fifteen hours a day is common. At four months, your baby’s sleep becomes much more “adult” in structure. Sleep has more complex stages and your baby will spend less time in lighter sleep. Most four month olds need about eleven hours of sleep at night and take three or four naps, totaling three or four hours a day. Many still need to eat at night, but some will sleep seven or eight hours at bedtime before waking up for a feed. By five months of age, your baby’s schedule should be fairly predictable. Most five month olds take three naps – one in the morning, one mid-day and one in the late afternoon. Some babies in this age group can go ten or eleven hours without eating, but many still require a feeding or two throughout the night. Developmental leaps like rolling and the beginning of object permanence (understanding that things exist even when they’re out of sight) may cause your baby to wake up more frequently at night and resist naps. This “regression” may catch you off guard, but it’s a normal part of your baby’s growth and development. If your baby knows how to fall asleep without assistance they may navigate this phase without regressing at all. If teething is making your baby uncomfortable, your pediatrician will give you strategies to manage your baby’s discomfort. Create a flexible schedule –If your baby sleeps past their regular wake up time, it’s fine to wake them up in order to establish a more predictable schedule. Continue to follow your baby’s cues for naps, but try to put your baby to bed at about the same time every night. To find your baby’s ideal bedtime, start with the morning wake up and count backwards. If your baby needs eleven hours of sleep at night and is up for the day at 6:00 am, then having them in bed and asleep by 7:00 pm will assure that they get the sleep they need. If you haven’t already, establish a calming, consistent bedtime routine to help them prepare for sleep. Decide where you want your baby to sleep – If your baby is sleeping in a co-sleeper or bassinet but you’d like them to eventually sleep in a crib, now is a good time to think about transitioning. Start by using the crib for naps only – then, after a week or two, begin putting them in the crib for nighttime sleep as well. Nap your baby at home – Although it may not be realistic to be home every time your baby needs to sleep, try for at least one or two good naps at home every day. Most babies sleep much better at home, where it’s less stimulating and distracting. Let your baby practice falling asleep – If you’ve already had success putting your baby down drowsy but awake, keep going! The more practice your baby gets at falling asleep without rocking, patting or feeding, the less they’ll be up at night expecting you to assist them back to sleep again. If you’ve been trying drowsy but awake with limited success (or not trying at all) and your baby is waking up more and more often, it may be the time to start thinking about a plan for better sleep. Most experts agree that you should wait until your baby is at least four months of age to sleep train, but if you can wait a little while longer, six months is the best time to start. Eliminate the swaddle when your baby starts to roll – To ease your baby out of the swaddle, start the non-dominant arm out for a night or two, then both arms out. When your baby adjusts to both arms out you can stop swaddling their bottom half. Most six to nine month olds sleep about eleven hours at night and three hours during the day, divided into two or three naps. By nine months almost all babies drop the third nap. Many babies in this age group can go all night without eating, but some still need a feeding or two to get through the night. Developmental milestones like sitting up, scooting and crawling may cause your baby to fight sleep and wake up in the middle of the night to practice their exciting new skills. The ability to pick up and drop objects can become an entertaining new game, and your baby may toss their pacifier or teether out of the crib to see what happens when they do. If you rock, bounce or feed your baby to sleep at bedtime, you may find that those strategies aren’t working quite as well as they used to. It may take more bouncing or rocking for your baby to fall asleep, or they be waking up more frequently expecting you to help them back to sleep. Wind down the day– As your baby becomes more mobile and engaged in the world around them, they may have trouble relaxing at the end of the day. Bring the lights down a bit for the last hour before bedtime, and keep the environment calm. Babies in this age group can become distractible eaters, so be sure that they’re eating well during the day and that they have a good final feed before lights out. Maintain a consistent bedtime – Getting your baby to bed on time can be challenging, especially if you’ve gone back to work or your other children’s activities keep you out and about until late in the day. Some strategic planning can help, like having meals prepared in advance, or asking your baby’s caregiver to have them bathed and in their pj’s before you get home. Remember that being overtired can make it harder for your baby to go to sleep, and cause more wake ups in the middle of the night. Evaluate the quality of your family’s sleep – If rocking, feeding or bouncing your baby to sleep is no longer working well for your family, it may be time to take some active steps to help them sleep better and longer. If you get a green light from your pediatrician to begin sleep training, choose a strategy that feels right, and be consistent with that approach. Sending mixed messages will confuse your baby and make it more difficult for them to adjust to the new routine. Healthy, developmentally ready children are remarkably adaptable and learn quickly when parents are ready to teach them. Nine and ten month olds typically sleep about eleven hours at night and two and a half or three hours during the day. Your baby has probably dropped their third nap by now, and will sleep for about an hour and a half in the morning and an hour or two in the afternoon. 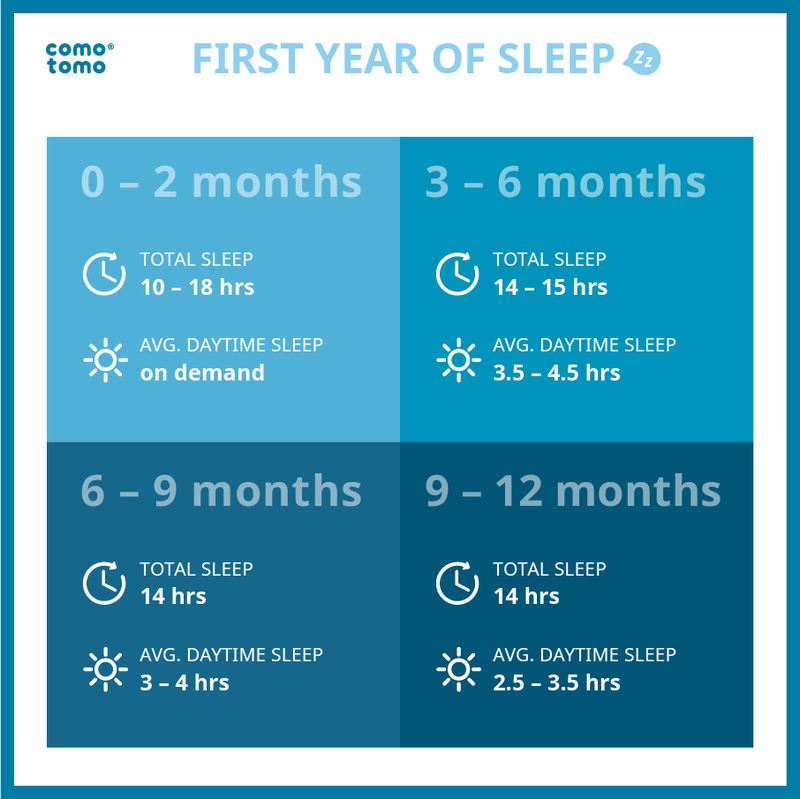 By twelve months, naptime will decrease to about two and a half hours, with a one hour nap in the morning and an hour and a half in the afternoon. New milestones like pulling up, standing and walking may temporarily disrupt your baby’s sleep, and the separation anxiety that often accompanies those milestones may make bedtime even more of a challenge. Your baby may cry as soon as you leave the room and be all smiles the second you return. Schedule, schedule, schedule! As babies get closer to their first birthday, maintaining a predictable schedule is more important than ever. 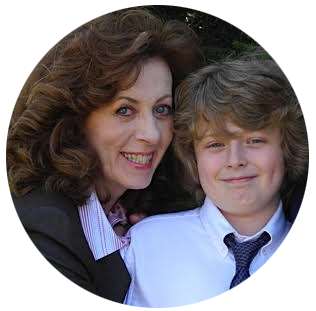 Children in this age group thrive on consistency, and take great comfort in knowing what comes next. Although most good sleepers in this age group can handle a missed nap every so often, don’t let your baby fool you into thinking that one nap a day will do – most babies aren’t ready to drop their morning nap until fifteen to eighteen months of age. Practice new skills during the day – If your baby doesn’t get enough practice pulling up, standing or walking during the day, they’re more likely to want to practice at night. Be sure to provide lots of opportunities during the day for your baby to explore and master their skills. If your baby wakes up in the middle of the night but is content, just leave them be. If they call out, respond, but make your reassurances soothing and brief. Maintain a consistent bedtime routine –Your child may need a slightly longer bedtime routine now, with a few more songs or books. Remember to do things in the same order every night, which is reassuring and comforting. Assess your baby’s nighttime feedings –Although some nine to twelve month babies still need to eat at night, most healthy babies in this age group can go all night without eating. If your baby is still waking up to eat, it may be out of habit, not need. Talk to your pediatrician. If they feel that your baby no longer needs the nighttime calories, then it’s time to consider weaning those feeds. How you wean night feedings depends on how much your baby is eating at night. If your baby is just snacking you may be able to just stop offering the bottle or breast. If your baby is eating more significant amounts, you’ll want to go more slowly and gradually reduce the amount you offer every night, one feeding at a time.